Green Oil: a better way to lube? Like most people who aim to keep their bike running reasonably efficiently, I use a teflon-based spray (usually GT-85). These sprays use lots of rather nasty chemicals, and it's no surprise that a bright spark has come up with an environmentally-friendly version. Interviewed by Dominic Bliss for the CTC's Cycle magazine (February/March edition, "Striking Oil"), founder Simon Nash explains how he tried all sorts of natural raw materials to end up with the right blends for all sorts of lubrication and cleaning uses. He also incorporates green credentials into the packaging, and even offers a 10 to 20p refund for refilling old containers! You can even get stickers, made from biodegradable plastic! To try out some of these great products, visit the Green-Oil.net shop. 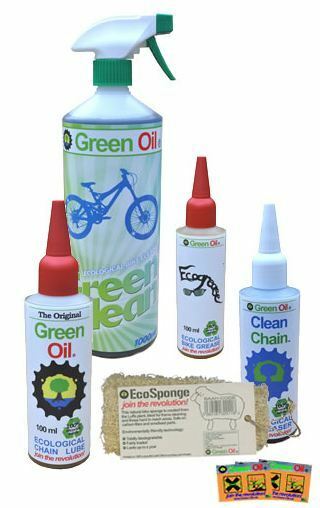 I have tried the Green Oil and Clean Chain products listed here. 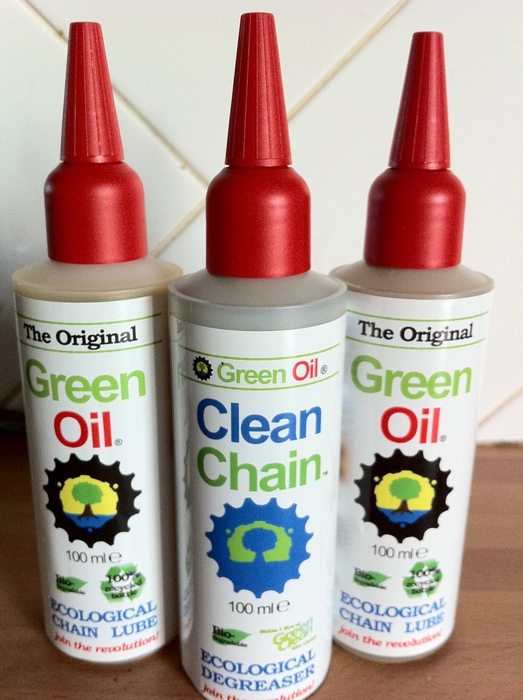 The Clean Chain is fair performer for its purpose, the Green Oil I have not got on with very well at all! !